Leica Microsystems' Digital LightSheet solution, the Leica TCS SP8 DLS confocal microscope was honored with the Microscopy Today 2016 Innovation Award in Columbus, Ohio. Its design combines the Leica TCS SP8 confocal platform with light sheet technology as a fully integrated module, thus enabling researchers to combine confocal and light sheet imaging in one experiment. Since light sheet microscopy is gentle on the sample, and increases cell viability, it is notably interesting for long-term imaging at high temporal and spatial sampling rates. Especially sensitive samples, such as embryos or 3D cell cultures, benefit from this technology. The combination moreover enables researchers to photo-manipulate their specimens using the confocal mode and apply light sheet imaging for the subsequent long-term observations. The Leica TCS SP8 DLS is one of ten achievements that Microscopy Today, the journal of the Microscopy Society of America, singles out annually for their importance and usefulness to the microscopy community. "It is an honor to receive the Microscopy Today 2016 Innovation Award for our Digital LightSheet solution," says Markus Lusser, President of Leica Microsystems. "The Award proves how much researchers benefit from the combination of light sheet and confocal microscopy in one system, especially since it gives them immense flexibility in the design of their experiments. Researchers especially praise the image quality and acquisition speed of the system. I am proud to say that many have been astonished at the extraordinary performance of the light sheet module on the confocal for long-term imaging of sensitive samples." In light sheet microscopy, the specimen is illuminated in a single plane, which reduces phototoxic effects and protects the sample. By moving the sample along this plane, imaging of three-dimensional structures is possible. 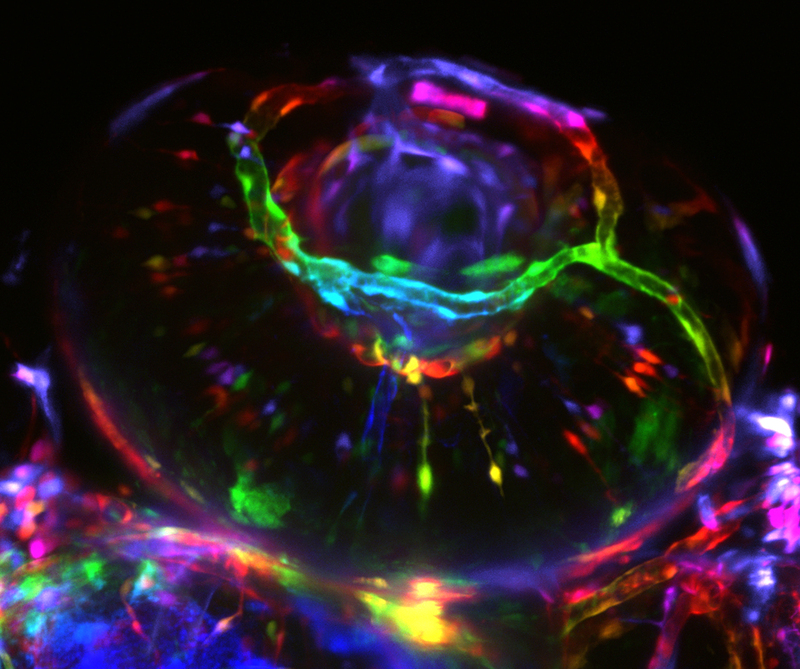 A high-speed camera allows the imaging of fast cellular processes. Due to its gentleness, light sheet microscopy increases the cell viability - with the Leica TCS SP8 DLS, it can easily be scaled up to image several specimens in multi-position experiments for greater productivity. The light sheet module is fully integrated into the Leica TCS SP8 modular imaging platform and expands its imaging options. Every inverted Leica TCS SP8 can be upgraded to a light sheet microscope and additional functionality such as STED super-resolution, multiphoton microscopy, advanced lasers or quantitative imaging can be added whenever required.